Thanks to spy photographers, loose-lipped employees and the speed of information on the internet, it’s virtually impossible for an automaker to tee up a surprise new product. Generally speaking, by the time something new does hit the auto show floor, it’s been dissected to a molecular level by journalists the world over, who will typically complain that it’s underpowered, devoid of interior style and utterly worthless since it won’t be sold in a station wagon variant. When Chevy pulled the wraps off the 2014 Camaro Z/28 yesterday, few people saw it coming. Call it sleight of hand; after all, Chevy had recently dropped the all-new Corvette and Corvette convertible, along with its SS muscle sedan. We were expecting a moderate refresh for the 2014, not a dedicated track animal that’s capable of showing taillights to the almighty Camaro ZL1. 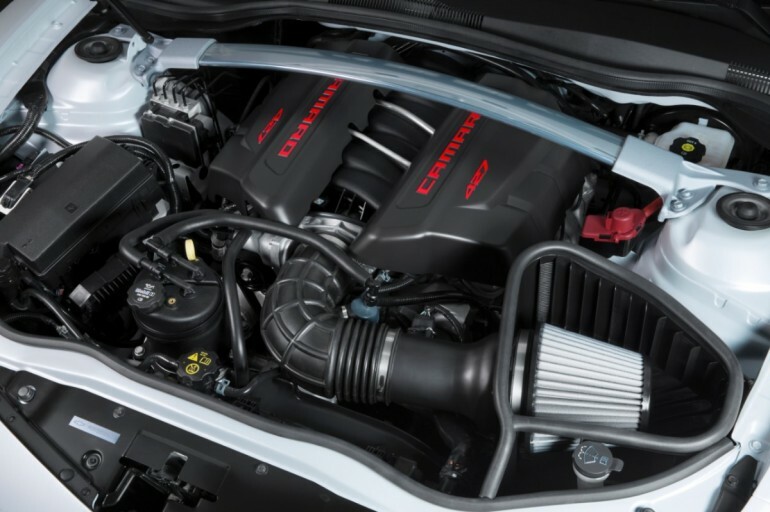 The 2014 Camaro Z/28 comes packing a tuned 7.0-liter LS7 V-8, liberated from the Corvette Z06 and rated at “at least” 500 horsepower and 470 pound-feet of torque. If you’re looking for floppy-paddle shifting, look elsewhere, since the Z/28 comes only with a six-speed manual transmission. Final gearing is 3.91:1, which Chevy calls ideally matched to the LS7’s power output. 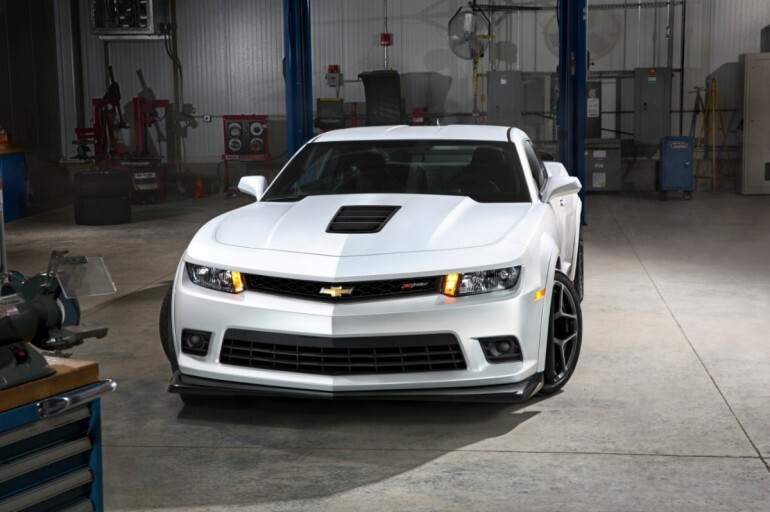 The Z/28’s suspension has been tuned to deliver 1.05 g worth of cornering capability, thanks to adjustable spool-valve dampers, stiffer spring rates and suspension bushings and 19-inch wheels with 305/30ZR19 tires that shave 42-pounds of the weight of the 20-inch units used on the ZL1. If that’s not enough to blow your mind, consider this: the Z/28 also gets carbon ceramic brakes (which sounds like a great idea until you price replacement rotors). Weight savings is the key to the Z/28s performance, so the car deletes the audio system, sound deadening, tire inflator kit and air conditioning (which can be added back in as a stand-alone option). Window glass is reduced thickness, and neither HID headlights nor foglamps are available. 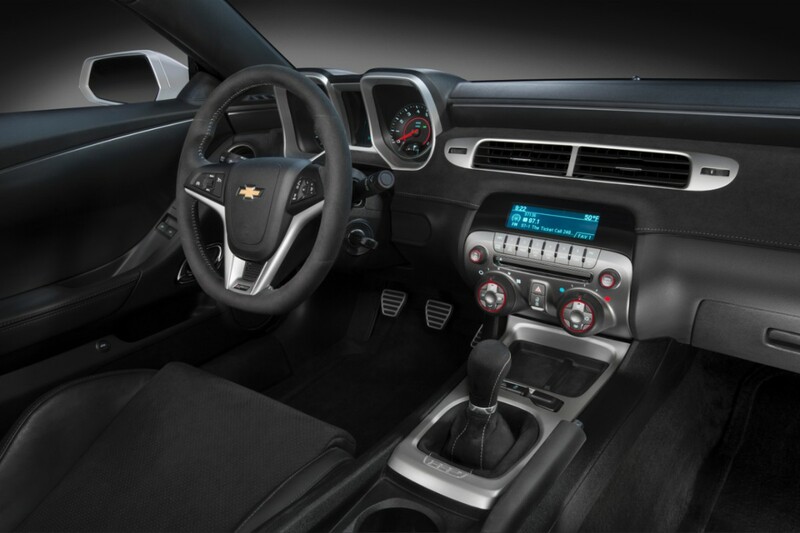 The Z/28 retains its back seat, but eliminates the trunk pass-through and uses lightweight high-density foam. The net result is that the Z/28 weighs some 300 pounds less than the ZL1. Unlike Z/28s of the past, this version is more about going fast than looking cool. We suspect that many buyers will learn the hard way that driving a race car on the street isn’t all it’s cracked up to be, no matter how fast it is on the occasional track day. Still, color us impressed with the depth of Chevy’s performance Camaro range, and we certainly hope that Ford has a few tricks up its sleeve for 2015.